Thomas Greenwood and John Batley had both worked at Fairbairn's Wellington Foundry. The works produced a lot of machinery for the Flax milling industry and received large orders from John Marshall who owned the massive Marshall's Mill and Temple Mill complex in Holbeck. Marshall helped Fairbairn establish the Wellington Foundry in order that he could meet the demand for machinery for his mills. Greenwood and Batley entered into a partnership with Peter Fairbairn as Fairbairn, Greenwood & Batley. Peter Fairbairn was the president of the Leeds Mechanical Institute and in January 1856 the company is reported as having donated generously to the Leeds Mechanical Institute. During the Crimean war the company gained work making machines for constructing weapons for the arsenals at Woolwich and Enfield. When the war was won the company also gets a mention in the press for its part in the illuminations staged in Leeds to celebrate the victory. Fairburn Greenwood and Batley provided "a brilliant device in gas consisting of lines of gas along the architecture of the Grecian facade and enclosing two large stars and, V and N in large roman capitals." Greenwood and Batley formed their own company. Initially they operated from premises taken over from Thomas W Lord, the Albion Foundry. The business soon outgrew this works and in 1859 a new works, the Albion Works was constructed between Armley Road and the Leeds and Liverpool Canal. The company made all manner of machinery, much of which being employed in mills and factories. In May 1959 they aquired a file cutter, patented by Frenchman Barnot. They were so proud of this piece of machinery that they advertised in the papers that they would allow the public in to their works to see it in use. In June 1861 they were highly praised for repairing the town hall clock which had been controversially unreliable. In September 1862 Greenwood & Batley displayed various machines in Great Exhibition including machines for making guns supplied to the Royal Small Arms Factory in Enfield and wood working tools including some used in the Royal Carriage works. Thomas Greenwood died on 11th February 1873. Workers had been about to present him with a portrait, this ended up being posthumously completed and presented to his eldest son George Greenwood who had succeeded him in the company's running. In May 1876 Greenwood & Batley had a display at the American Exhibition including an example of a Walter Printing Press. They supplied this equipment to the New York Times to turn out copies of the paper at a rate of 12000 a minute. The company acquired the business of Joseph Whitham and the Perseverance Iron Works on Kirkstall Road in 1885. This acquisition saw an expansion in to the production of flour and oil milling machinery. In 1896 they took over Smith, Beacock & Tannett and their Victoria Foundry, the former Round Foundry of Matthew Murray, in Holbeck. 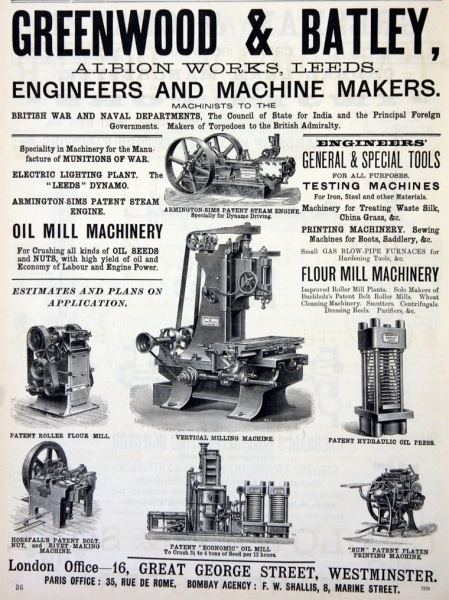 Smith, Beacock & Tannett were another large supplier of machine tools. In 1894 the company installed their own electricity generating station. Victorian factories usually had a single large steam engine driving all the machinery in the works by means of line shafting, making the factories very noisy environments. By using electricity the company were able to have their machinery driven by electric motors rather than shafts and belts. Machine tool department- Every description of General and Special machine [tools] for Railway, Marine and General Engineers, including Hydraulic and other Forging and Stamping Machinery, Lathes, Punching, Shearing, Planing, Milling, Shaping, Drilling and Boring Machines. Bolt, Nut and Screw Machinery. Testing Machines for strength of Material. Wood Working Machinery. Special plants and machinery - For making Armour Plates, Ordnance, Gun Mountings and Ammunition: also for Small Arms Cartridges, Gunpowder, &c., and every description of War Material. Rolling Mills for Metal Coining, Presses and Minting Machinery. Oil mill machinery department - The “Albion,” “Leeds, “ and Anglo-American systems for Extraction of every kind of Vegetable Oil including Machinery for Preparing and Decorticating Seeds, Nuts &c. Presses for making Cattle Feeding Cakes, Seed and Grain Elevators and Warehousing machinery. Oil Refineries. Cotton and other Baling Presses. Textile machinery department - Improved Patented Machines for Preparing and Spinning Waste Silk, China Grass, Rhea, Ramie, and other fibres. 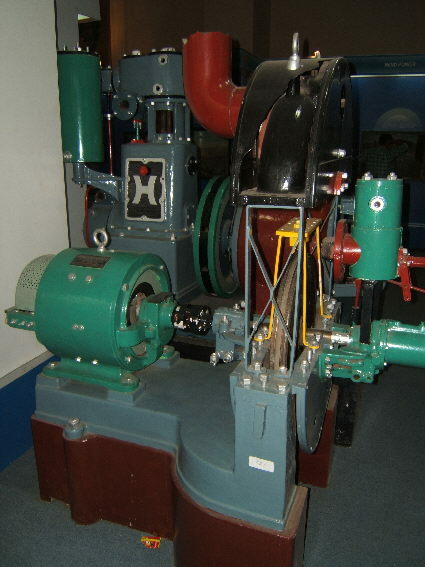 Whyte’s patent Cop Winding Machine. Engineering department - Frickart's Improved Corliss Steam Engines, single compound and triple expansion of the largest powers, for driving Factories, Mills, Electrical Installations, &c. Sole Manufacturers of The Brayton Patent Oil Engine. Electrical department - all kinds of Dynamos and Motors for Lighting or Transmission of Power. Speciality: Motors for electrically driven Machine Tools &c. De Laval's Patent Steam Turbine Motors, Turbine Dynamos, Turbine Pumps and Fans (for Great Britain and Colonies, China and Japan). Ordnance department - Manufacturers of all kinds of Military Small Arms Ammunition e.g. .303 British. Self-propelling Torpedoes (Whitehead's) for the Navy, and Horse Shoes for the British Government. Printing and sewing machine department - Patent Platen Printing Machines. Patent Boot Sewing Machines. Cloth Cutting Machines. Patent Boot Sewing Machines. Cloth Cutting Machines for Wholesale Clothiers, &c.
The development of electrical machinery would be another important development for the company, it led to sales of generating equipment for industrial use and public supplies, it also led to some work on tram and locomotive construction. The company produced a couple of non-electric tramcars including a compressed air tramcar in 1876. "The engine was to the design and patents of Colonel Frederick E. Beaumont, R.E. and M.P. for South Durham, who was well known for his work with compressed air drills and tunnelling machines. He was involved with the drilling of the Channel Tunnel in 1880 until the politicians put a stop to his work. An engineer named Mekarski had carried out trials with a compressed air tram in Paris in 1876 and about this time Beaumont turned his attention to the design of a similar vehicle. It appears that Green¬wood and Batley Ltd. of Armley Road, Leeds, did some preliminary construction work on the engine in the late 'seventies, but it was Manning, Wardle and Co. who brought the design to fruition in 1880. A water-tube boiler steam tram was also built in 1878, though electric power would prove more succesful. In 1896 25 electric tramcars were ordered by Leeds Corporation, these were double-deck open top cars seating 29 outside and 22 inside, with Milnes bodies. These trams saw about thirty years of service on Leeds tramways.From the late 1800s Greenwood and Batley were also involved in the establishment and operation of a tramway from Colne to Trawden in Lancashire. The Colne & Trawden Light Railway began operation in 1903 using cars bought in from Milnes and Brush and was taken over by Colne Corporation in 1914. 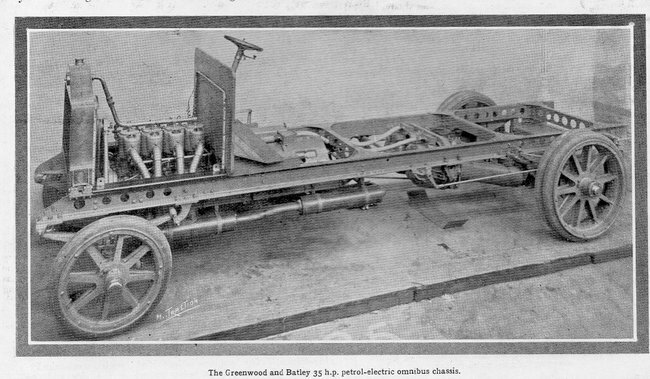 Greenwood and Batley also ventured in to bus construction in 1907 with a petrol electric bus. A French Mutel 40hp engine drove a generator powering two motors driving the rear wheels.The chassis was displayed at the Commercial Motor Show that year. It was leased to Provincial Tramways Co (Grimsby) for a few months in 1911 before being bought by the company. It was withdrawn in 1914 and no further examples seem to have been made. More about Greenwood & Batley's tram and bus work can be read in our Bus and Trolleybus and Tram making articles, together with a picture of the completed bus during its career in Grimbsby. In 1927 five electric narrow gauge locomotives were built for the Mersey Tunnel project, the locos were very successful and the project eventually was using 31 such locos. 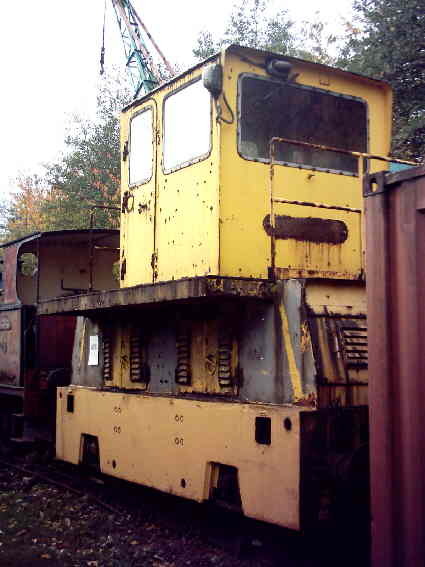 Many little narrow gauge battery locomotives were built and these saw use in many small industrial systems. The abbreviated name Greenbat was used to market locomotives and this name is carried on plates on many of them. The first standard gauge loco was built in 1930 for Luton Power Station, this loco is now preserved in Armley Mills Industrial Museum. The company were particularly succesful in building coke works locomotives, these were battery powered, generally had the cab mounted above the batteries and had to work in a very hostile environment. The last of these machines, works number 420452 of 1979, is preserved at the Middleton Railway. In the late 1960s the company became part of the Fairbairn-Lawson Group. The Fairbairn refered to in this company name is William Fairbairn, older brother of Peter Fairbairn with whom Greenwood and Batley had begun their careers. William Fairbairn had manufactured steam ships and later locomotives in works in Millwall and Manchester. Standard gauge locomotives were also constructed for the construction of the Hong Kong metro system. One of these was tested on the Middleton Railway prior to dispatch to Hong Kong. In all Greenwood & Batley built 1367 locomotives and these found use both at home and overseas. 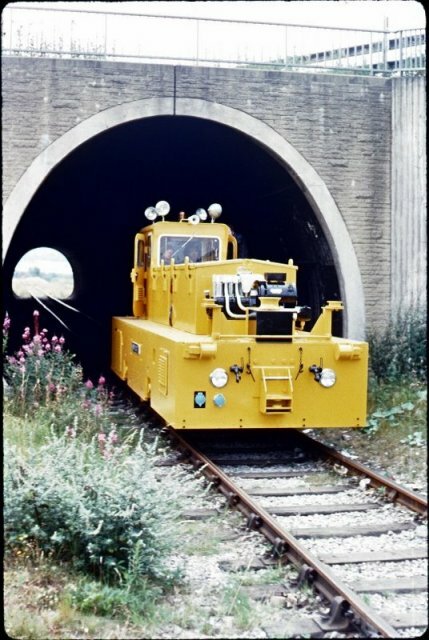 35 Mail Rail units were ordered from Greenwood & Batley and delivery began in 1980, however in spite of this order the company were in financial difficulties at the time. In April 1980 receivers were called in and the company was bought by Hunslet Holdings, only 3 of the Mail Rail order having been built. Hunslet completed the order along with 16 other locomotives. Manufacturing was transferred to the Hunslet Engine Works by 1984 and the Albion Works was sold in 1987. The works was demolished and new industrial units constructed on the site. Greenbat designed traction motors were incorporated in the Channel Tunnel construction locomotives built in Hunslet. Three of the Greenbat Mail Rail units were modernised with fibreglass bodies in 1987. Unfortunately the system has been mothballed some years now and with some of the post offices it served subsequently closed and modernisation of Royal Mail continually taking place it seems unlikely it will run again as a means of transporting mail, however a scheme to open a section for tourist traffic is in progress.